Any box or practically anything used to bury the dead is a coffin. 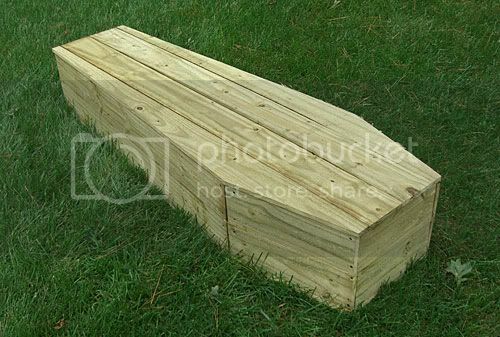 I'm sure almost everyone has seen a coffin right? And no sane man will be happy with the sight of it. It symbolizes death, detachment, regrets and at times-the point of no return. I have went to funerals and seen coffins more than a dozen times during my whole lifetime. In my eyes, coffins are nothing but bad harbingers. It brings darkness and grievance...it denotes not only the end of a life, but also the future and hopes of many people. No one like it, not even you and me. But the irony is, we'll be in it one day...sooner or later! 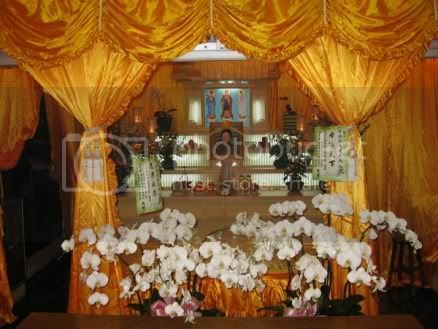 A typical Chinese funeral ceremony. The box where we will R.I.P.! ...But that's not the case in Thailand! Oh my God, it seems Thailand are the place where tonnes of supernatural stuff happens. 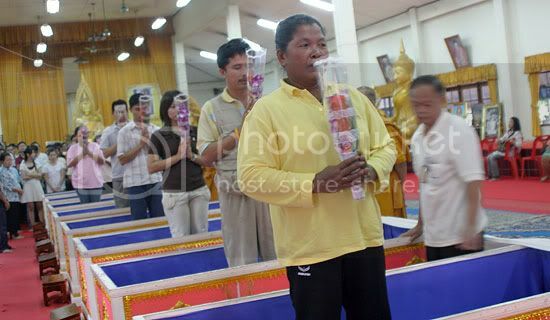 Yes, the current supernatural fad that gripped Thailand is the Coffin Ceremony! 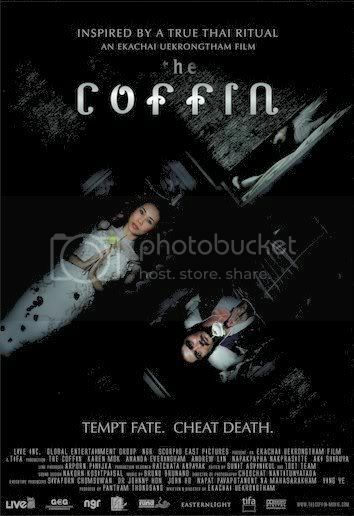 As weird as it may sound, this ritual is so darn popular with the Thais that it was filmed as a movie called The Coffin (click here to read FoongPC's review about the movie). In the movie, it claimed that the ritual was so enormous that it made it into the World Guiness Book of Record with a staggering 10000 people at one time. I'm not sure whether this figure is true, but I'm quite certain that the Coffin Ceremony is real and it's happening in Wat Prommanee Temple. Located 106 Kilometres (or 66 miles) northeast of Bangkok, Wat Prommanee Temple has offered its unusual daily resurrection for more than 3 years now. To some, the coffin ritual is the ultimate in second chances. Just for a small fee (180 baths=$5), believers can die and rise up again to make a pristine, fresh start. But unlike in the movie, there are only 9 big pink coffins available for the rituals. And every day hundreds of even thousands of people take turns climbing into the coffins for a few moments as monks chant the dirge (or burial hymn). Then the believers will be commanded to clamber out again from the casket-purified and cleanesed (they believed) of their pasts, hardships, bad karmas etc. People standing in prayer after emerging from coffins! Some people have performed the ritual SEVERAL times. As recent economic hardship pushing people to the brink, a lot of Thais seek a bailout by joining the resurrection ritual-coffin ceremony. They believe by latching on to supernatural powers, they could rid themselves off all the bad lucks. Like Charlie Chaplin on an out-of-control assembly line, they follow the monks' commands: into the coffin, down on their backs, eyes closed, shroud on, shroud off, up on their feet, quick prayer and scramble out into a new life! 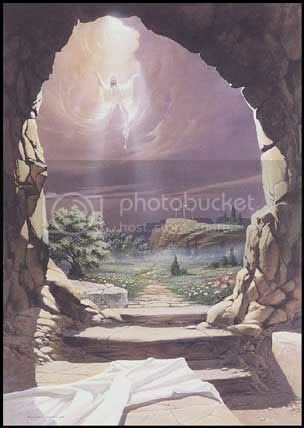 The whole resurrection process took only 90 seconds! Then the other group of 9 hop in. Notice that no one is standing behind the coffin! There are cardboard signs warning visitors not to stand behind the coffins, where bad karma sucked from the "dying" devotees may still be hovering around. In other words, if you were standing behind the coffin...the bad karma will be transferred to you. Ok, here's what beats me. If all the so-called bad karma are sucked out, where will these "black karma" go then? Or these bad karma cannot be vanished and the only way to rid one off his/her bad karma is by transferring it to the others. Just like what we saw in the movie. The believers who come to be revived at Wat Prommanee are seeking remedy for many of the ailments (cancers etc.) and aspirations of life. So if these diseases are "sucked out" at the expenses of others, do you think it is fair? What if you are the receiving end of this rituals? By the way, didn't the monks know that by tempering with people's fates and destinies written by God is an offense? I mean aren't they disrupting the balance of nature? It's like they are playing God. And I'm so darn sure that God Himself is pretty much provoked by these rituals. I believe only we ourself, could change our own destiny. Instead of transferring our bad karma, we should collect more merits to change our fate. So will resist the temptation of ridding you ailments, misfortune and bad karma if you were given the chance to do so? Sleep on it. Thanks for the link to my blog, Tekkaus! What has Charlie Chaplin got to do with coffins and resurrection? Haha! You know, I agree with you. We should not attempt to change what is meant to be. And it's very unfair to pass bad karma to others, though I personally think this cannot be done. Foongpc-->You are welcome. Well, Charlie Chaplin is funny. Ha =) Yes, I don't think it's ok or morally correct to change our own destiny especially by transferring our bad fortune to others. But I think it could be done if someone wanted to do it. Haha! I don't think so lah, but I don't dare go Thailand at this moment. What if the political scene there goes ugly again? Won't want to be trapped there with no flights out! Even sleeping in coffins won't help then. LOL!